Two pairs of knitted Dachstein Mitts.One blue pair and one flecked grey pair. 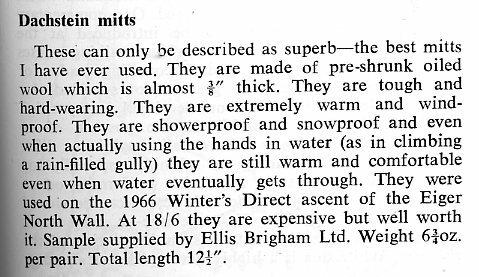 We've been a bit cheeky and pinched the following description of Dachstein Mitts from the 2013 Needle Sports Catalogue - hope they don't mind! 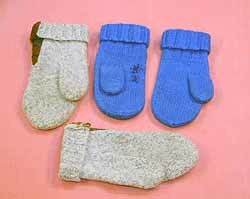 Traditional heavy duty wool mitts. made well oversized and then boiled to shrink to a tough thick woollen felt. 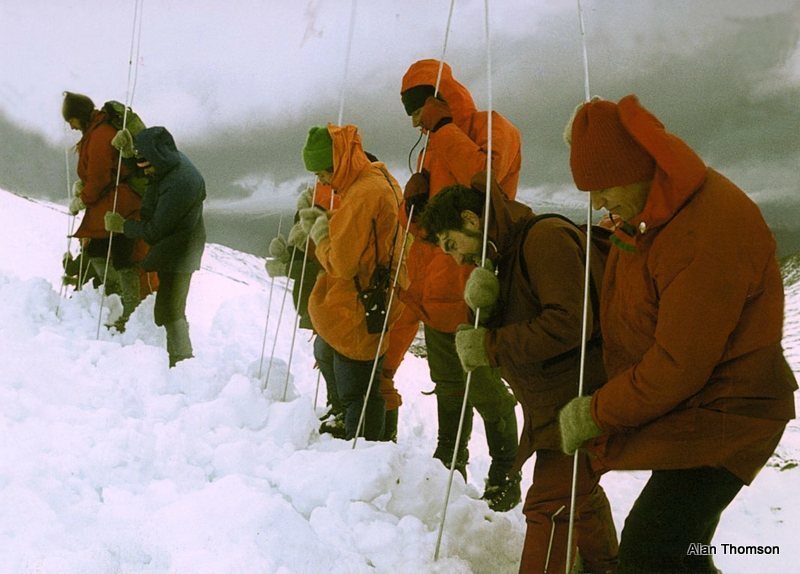 As used by Scottish winter climbers, alpinists and Himalayan expeditioners for over 50 years. 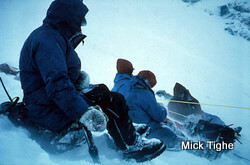 Not waterproof but when used in snow, an icy skin forms over the mitt which is very effective at keeping hands warm. If you are an impecunious winter climber looking for the one glove that will do everything (as cheaply as possible) then this is about as close as you’ll get! Please note that with the change in supplier from Lackner (who ceased production) to Huber, the sizing of these mitts has changed and they are now larger than they used to be." Back in the 1970's just about everybody wore Dachsteins, but as with lots of things, fashions change and they are nowhere near as common 40 years later in 2013. Good to see that they are still available though.